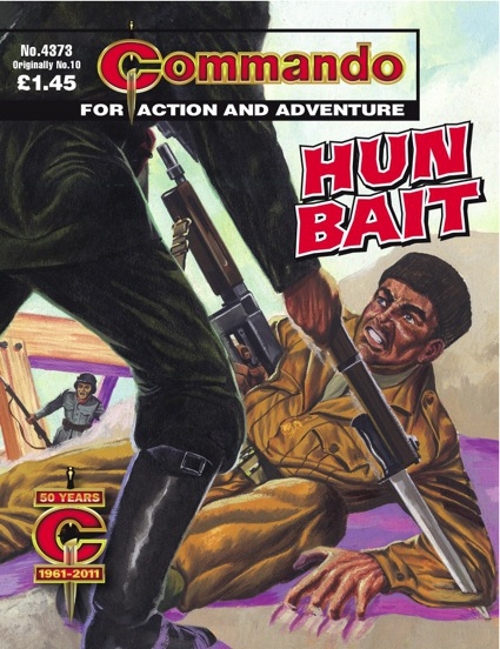 Commando continues its 50th anniversary celebrations with the re-issue of the original 12 stories. This month we see Hun Bait. This story features Sergeant Kelly, a big Australian eager to get his hands on the enemy's throat. Ripping stuff.